I started exploring the purse format last year and Intermezzo Purse is my first all metal purse. 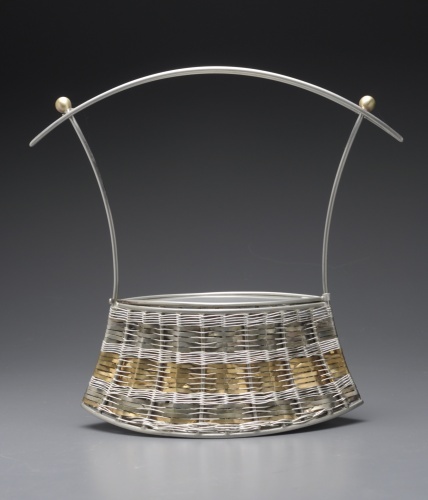 All nickel framework, with silverplate, nickel and bronze woven detail, and lined with leather on the inside, on bottom. Tall, very sculptural, but entirely functional, this lovely purse will be an attention-getter, and truly one of a kind.